As with most seemingly-overreaching trademark applications, Cardi’s registration of these popular words–particularly in the drag queen community–has been met with criticism. The public backlash is understandable; it brings to mind the concern that trademarking a term will take it out of the public domain and inhibit free speech and fair use. Though, to be fair, Cardi’s applications only seek to preclude use of the word on clothing and merchandise. But she acknowledges the registrations are, essentially, a cash grab. Indeed, trademarking common words appears to be a regular strategy for celebrities seeking to capitalize on words’ popularity. I’m reminded by the recent example of singer Will.I.Am attempting to trademark the phrase “willpower,” which was cancelled by the Trademark Trial and Appeal Board because the mark was too similar to other existing marks and had no source-indicating distinctiveness. That is, the public did not strongly associate the word “willpower” with Will.I.Am, so Will.I.Am cannot claim exclusive use of the mark in commerce. 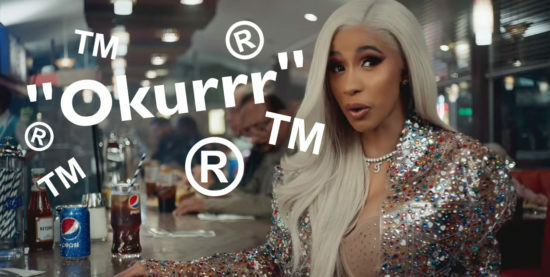 But Cardi argues that “Okurrr” has become her famous slogan, buoyed by a Superbowl Pepsi ad featuring her using the phrase and instructing others on how to pronounce it correctly. And that brings me to the “T”–the truth–of the enforceability of Cardi’s registrations: it is unlikely that the general public would identify Cardi as the source of goods beat with “Okurrr” or similar marks because, in fact, “Cardi can’t honestly make the argument that she created the word.” Rather, according to the fiercest drag queen of them all, RuPaul, the credit goes to Broadway actress Laura Bell Bundy–even though RuPaul and other drag queens brought the phrase, which may have roots in African-American culture, to the runway, where it was picked up by the Kardashians and, now, Cardi B. The contextual history of Okurrr is important and cannot be overlooked in the distinctiveness and goodwill analysis. It not only undermines Cardi’s legitimate claim to exclusive nation-wide use of the mark in commerce, but also seriously calls into question the appropriateness of restricting use of the word by all others, including the communities from which it originates–and which much of the public likely identify as earlier or actual sources of the word. 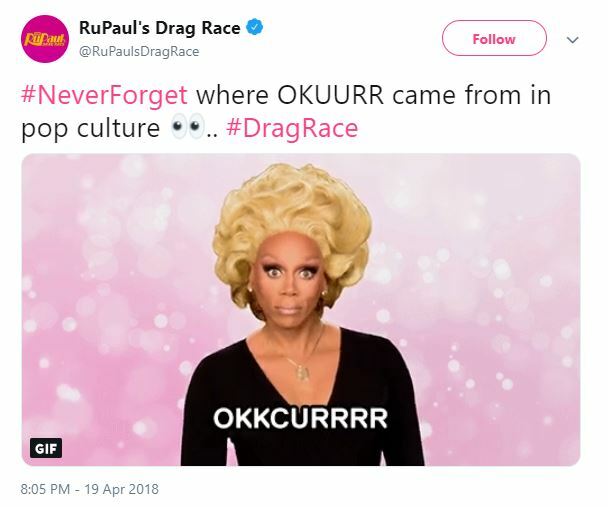 Thus, trademarking “Okurrr” is likely to lose from both a legal and PR standpoint. That’s a sickening realness, but not in a “feeling the fantasy” kind of way.